Today takes us over the half way line. Six beers in, six to go as we build toward New Years Eve and the end of 2014. Tonight’s beer is an interesting one. Meantime Brewing’s Black Russian was not originally part of my #12BeersofXmas and a beer that I found in my possession due to being tagged in a competition that was entered by fellow craft wanker beer nut Greg from Twitter. You can read his blog today for the full details rather than me repeat it here. 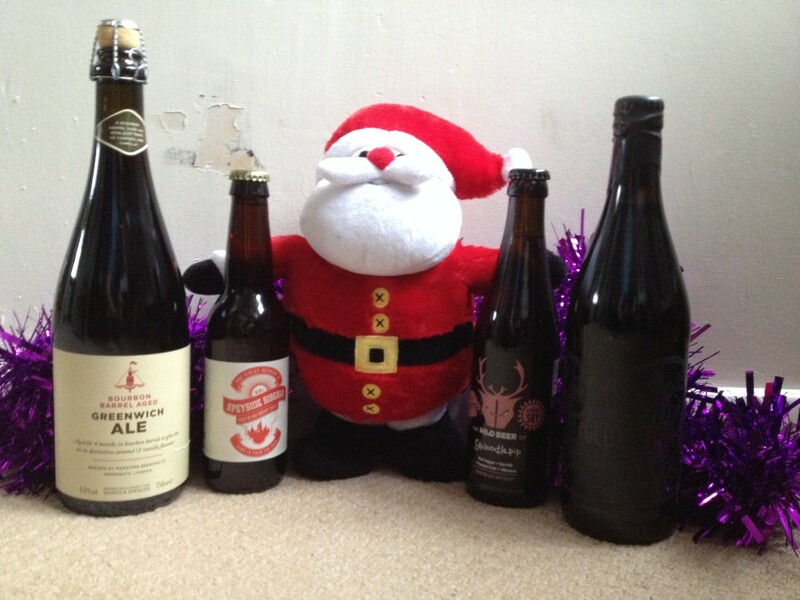 Like most of us, for me Christmas Day was all about choosing the rights beers to accompany the food of the day. For dinner, I chose Shepard Neame’s ‘Christmas Ale’ (7% ABV). This was the last of many ‘Christmas’ beers that I have sampled this year and for our regular listeners, you’ll know that I haven’t had a great amount of success with them. 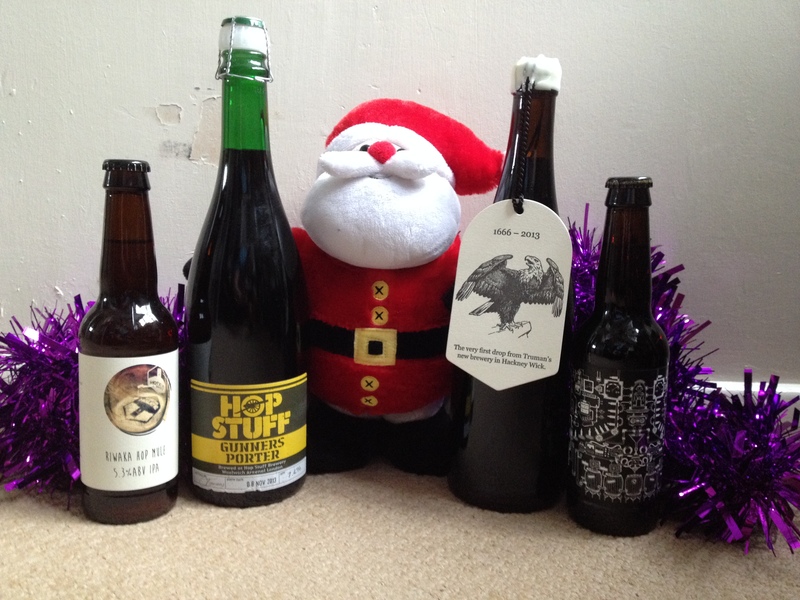 Most have been bulk-standard bitters with a few festive spiced flavours thrown in. 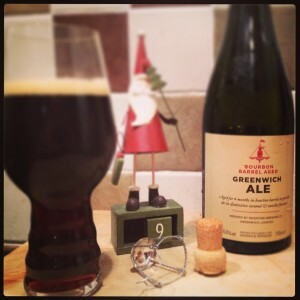 This beer promotes itself more as a winter warmer than a festive beer and didn’t disappoint. A lovely dark amber colour, with deep malty aromas with a hint of hops in the background. The malts continue throughout the beer and the hops leave a subtle but noticeable spicy aftertaste. For me, this was probably the best of all the bottled christmas beers I’ve tried this year. Next up was ‘Southwold Winter IPA’ (6.7% ABV) from Adnams but brewed exclusively for Marks & Spencer. Now I’ve been pleasantly and consistently surprised with these “brewed for M&S” range of beers. If they’re not something you’ve come across, then make a beeline for M&S – some of the UK’s biggest breweries has created beers for this range and they are all worth a try. The Winter IPA pours a light amber coloured and has an instantly hoppy aroma with that distinct ‘craft beer’ aroma and flavour. It’s fresh and feels lie the outside and has grapefruit and tropical flavours coming through every sip and lingering on the aftertaste. This is quite reminiscent of the ‘American IPA’ that Adnams put out a year or so ago (and that is coming back on cask in early 2013 and as the M&S Summer IPA) and is a truly enjoyable IPA that has you coming back for more and more. 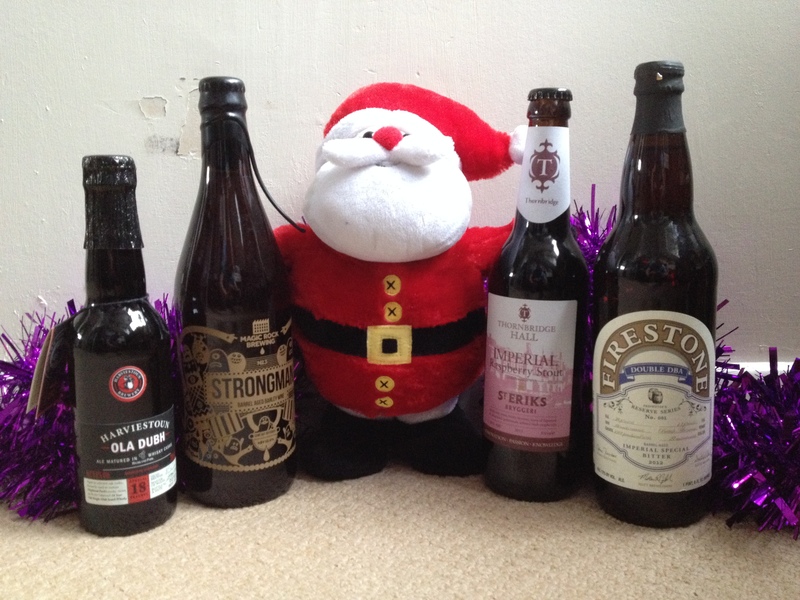 To finish Christmas Day I went for the Meantime ‘chocolate porter’ (6.5% ABV). This is one I’ve been looking forward to doing as all of the media I’ve read about it suggests it’s about a close to drinking an alcoholic cup of chocolate as you’re likely to get. Brewed with four different roasted malts that all provide natural mocca flavours and then real chocolate is added during the maturation period. The aroma is truly a chocolate one, almost reminiscent of a bar of Dairy Milk. In the glass it looks like a glass of coke, very dark in colour with a light head and some decent carbonation. A little disappointing on the palate though, as none of those chocolate promises follow through. There’s a subtle chocolate aftertaste, but the prominence is with the traditional porter flavours – deep, roasted malts.